Lisa Duggan, Program Director, is a writer, editor and entrepreneur with over fifteen years of experience in publishing. She is the former Director of Membership for In Good Company, and Associate Producer for Parents of the Revolution, a 2014 documentary about parents inside the Occupy Wall Street movement. 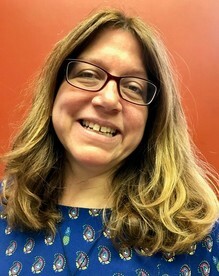 Lisa is a contributing editor for The Good Men Project, and founder of The Modern Village, a continuing education series dedicated to the social and emotional well-being of families. Lisa is also a life-long activist who paints and writes poetry, having performed in spoken word events in both in New Jersey and New York City. She lives in South Orange with her daughter, a talented young artist and activist in her own right. For more information about GlassRoots programs, please contact Lisa at 973-353-9555 or email her!